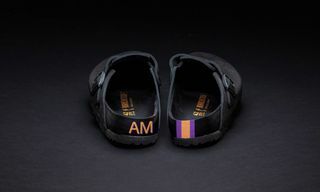 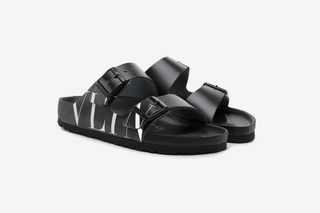 Key Features: The black pair features leather construction, a leather footbed, tonal buckles with Birkenstock branding, and Valentino’s VLTN logo on the side. The red pair features leather construction, a leather footbed, and tonal buckles with Birkenstock branding. 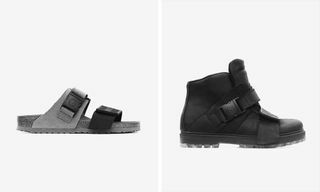 Buy: Valentino boutiques worldwide, select Birkenstock stores and online. Editor’s Notes: Following a debut earlier today at Valentino Men’s FW19-20 show in Paris, we now get an official look at Valentino’s new collaboration with Birkenstock on the iconic Arizona sandal. 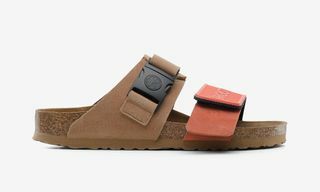 Valentino’s Birkenstock effort features two colorways of the Arizona. 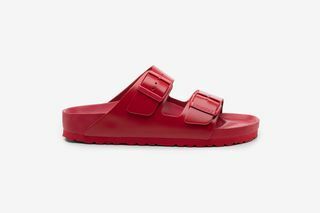 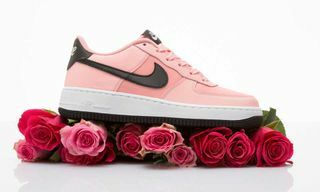 The black iteration boasts Valentino’s VLTN logo on the side, while the red rendition is a tonal affair. 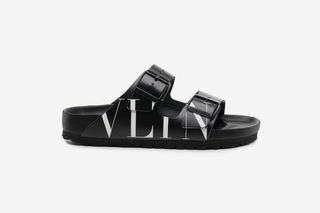 You can look forward to the Valentino x Birkenstock Arizona sandals launching at Valentino boutiques worldwide, select Birkenstock stores and online. 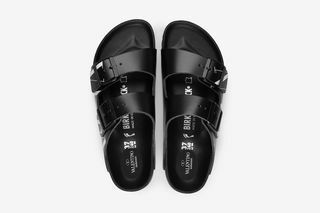 For more, be sure to check out Birkenstock and Rick Owens’ season two footwear, which drops next month.